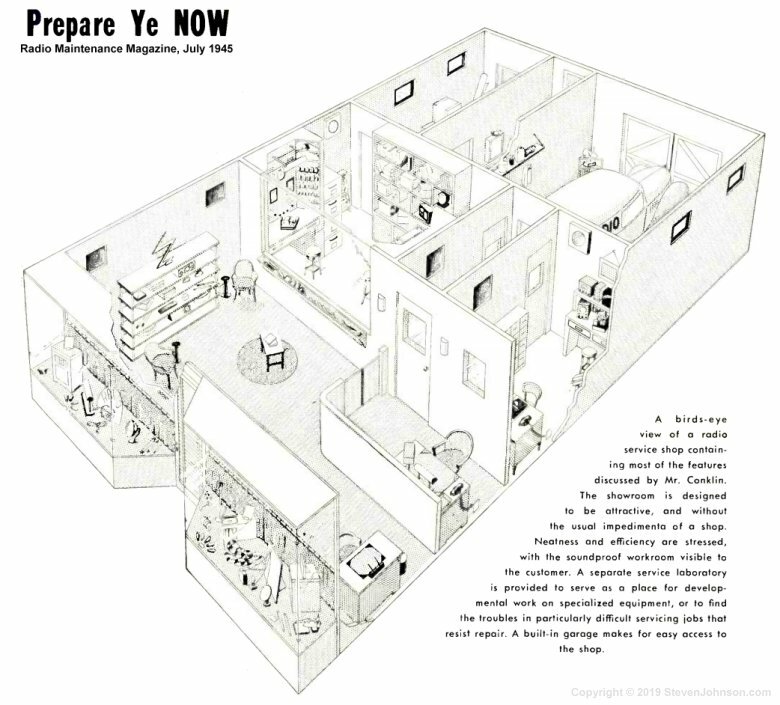 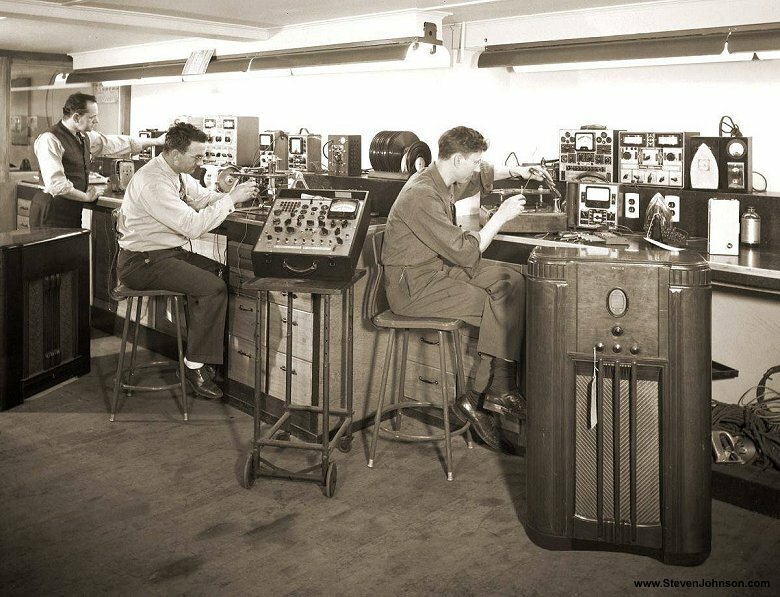 or electronic workbench photos from the 1960s or earlier to add here please contact me. 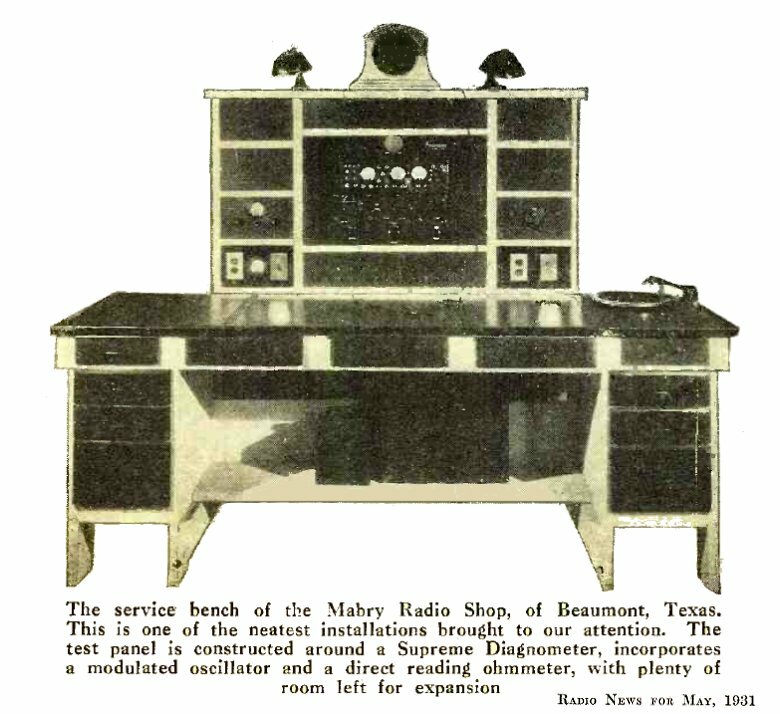 This photo with the RCA logo removed was also used on the cover of the 1933 Supreme Instruments catalog. 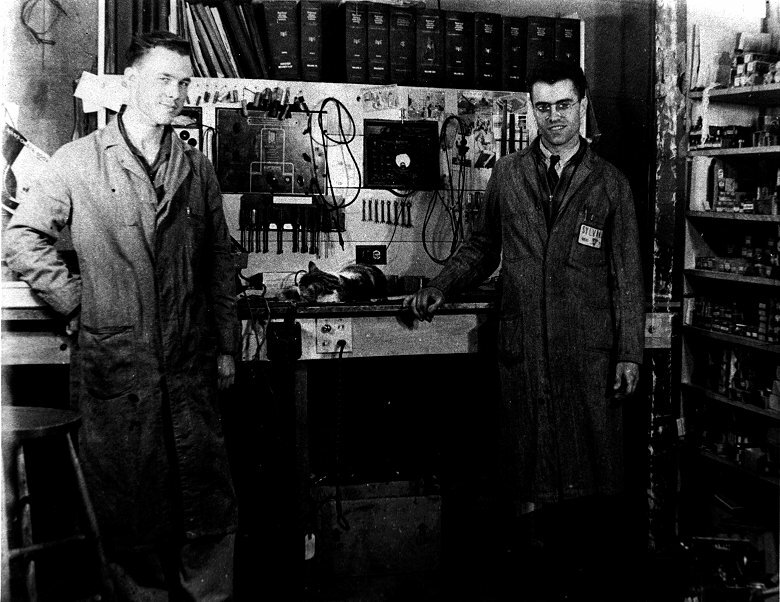 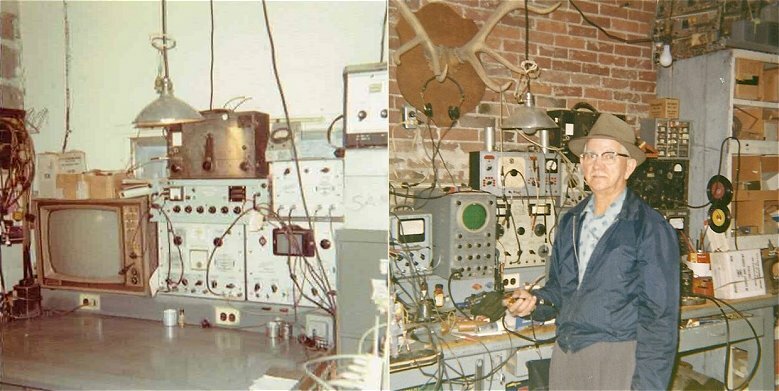 Note the Supreme 400B Diagnometer and other test equipment mounted in the wall above the RCA logo. 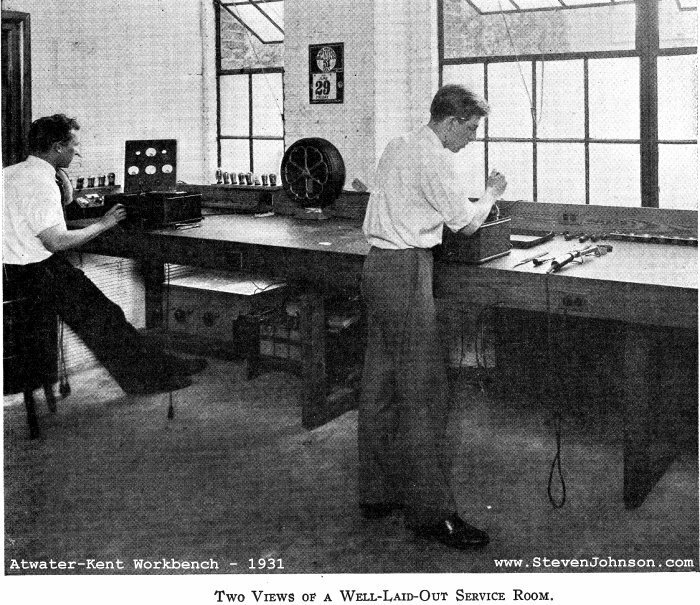 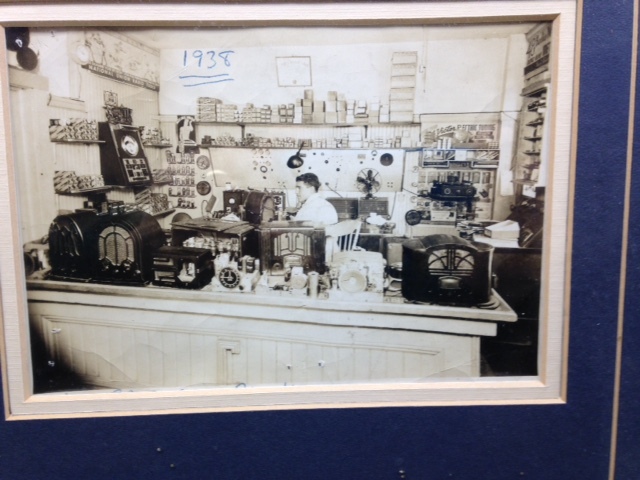 It was quite common in the late 1920s and early 1930's to have the radio test equipment custom built into the service bench. 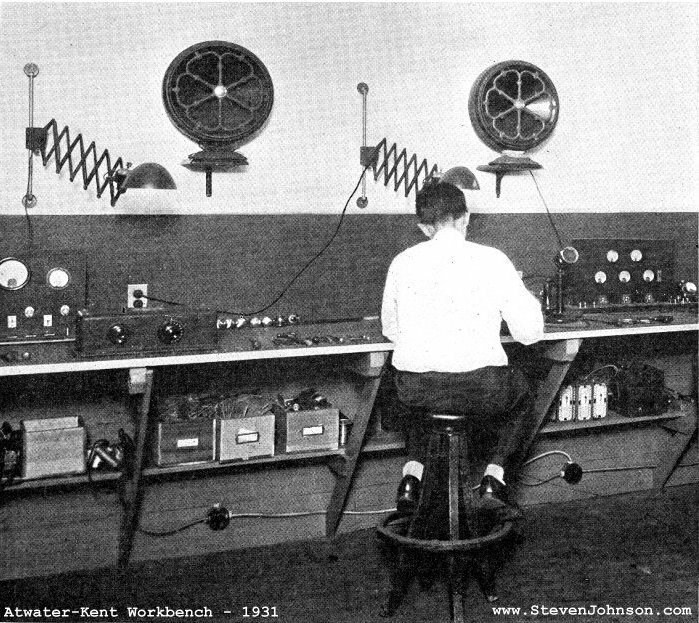 Notice every piece of test equipment is built in to the back of this workbench. 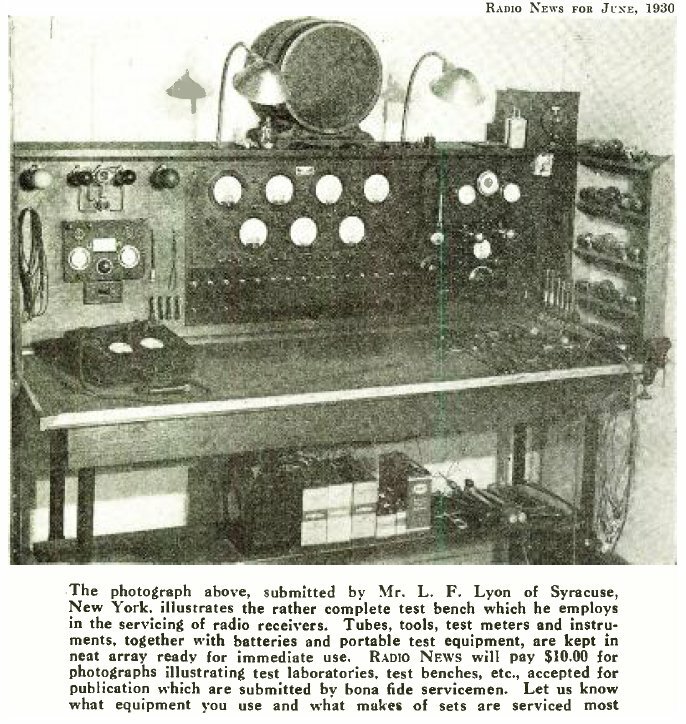 L. F. Lyon radio service bench, Syracuse New York. 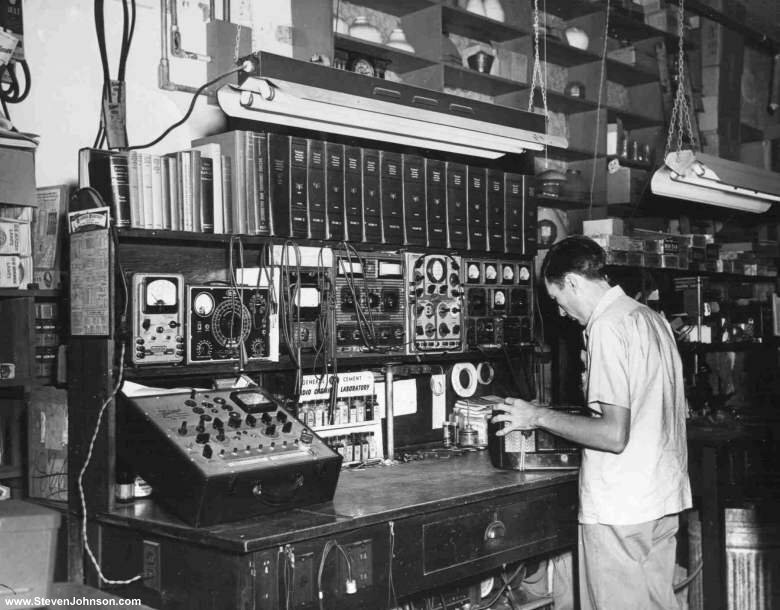 Workbench at Tommy Tuckers in Asbury Park NJ. 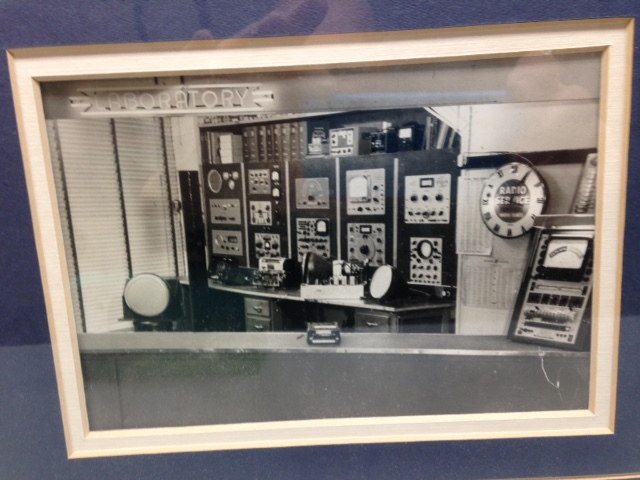 Olympic Radio and Television, Seattle WA. 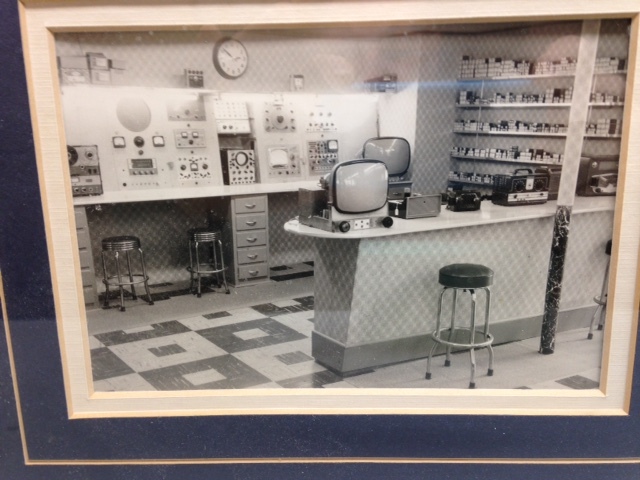 Later moved shop to Salmon, ID (1971-1987). 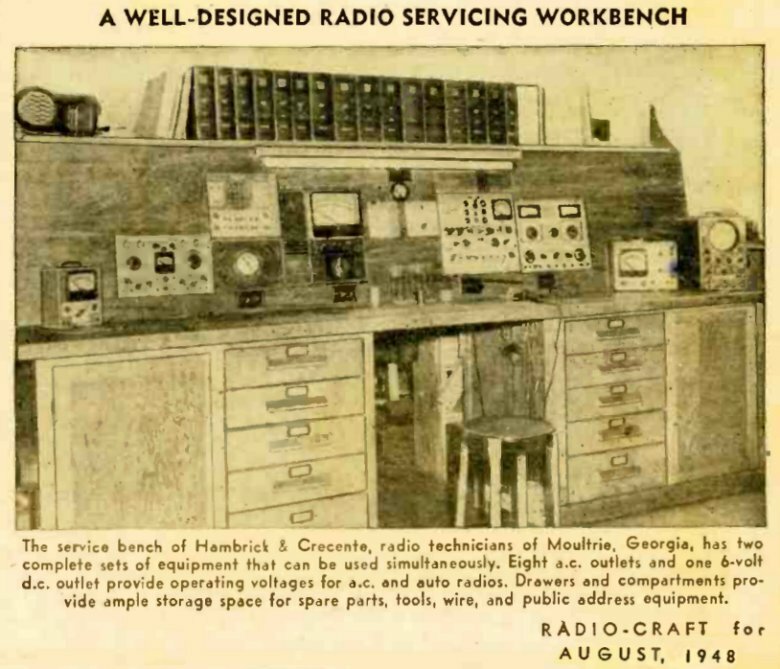 Hambrick & Crecente Radio Workbench, Moultrie, Ga.